Tuesday Night on the CW network, the second “Suicide Squad” trailer was finally released and my anticipation for this film has never been higher. The trailer delivers a better sense of the characters, a better look at the Prince of Crime, The Joker, and of course plenty of brand new footage. This time around, the trailer begins with a much lighter tone, much different from the first one and its dark version of the Bee Gee‘s “I Started A Joke.” Queen‘s “Bohemian Rhapsody” plays instead throughout the trailer and I found it to be really unique and a lot of fun to hear the upbeat music and see our favorite villains in their cells, including a pissed off Captain Boomerang (Jai Courtney). Rick Flagg (Joel Kinnamen) gives us the rundown of the characters: Deadshot (Will Smith) shoots people, Killer Croc (Adewale Akinnuoye-Agbaje) eats people, El Diablo (Jay Hernandez) burns people, Enchantress (Cara Delevingne) is possessed by a witch, and Harley Quinn (Margot Robbie) is just crazy. A jolly ol’ bunch, don’t you think? Margot Robbie graces us with a pretty funny scene among the men in which she says, “What was that? I should kill everyone and escape? I’m kidding, that’s not what they said.” And of course the men, including Scott Eastwood, are not amused but more freaked out by Joker’s girlfriend. Speaking of The Joker (Jared Leto), he shows up here more times than before and even gets a line in during a torture scene. Based off of what I’m seeing here, Jared Leto may actually pull off the feat of being as equally terrifying, ruthless and insane as Heath Ledger‘s portrayal in “The Dark Knight.” I know that’s a stretch, but Leto goes for it with every role, so I have faith he can pull it off here. I hope we get another trailer that reveals a tad bit more but, at the same time, I do want to be surprised when the film is actually released. My anticipation is about as insane as these characters. This movie looks like an awesome summer blockbuster that will be a game changer and I think David Ayer has truly struck gold here. 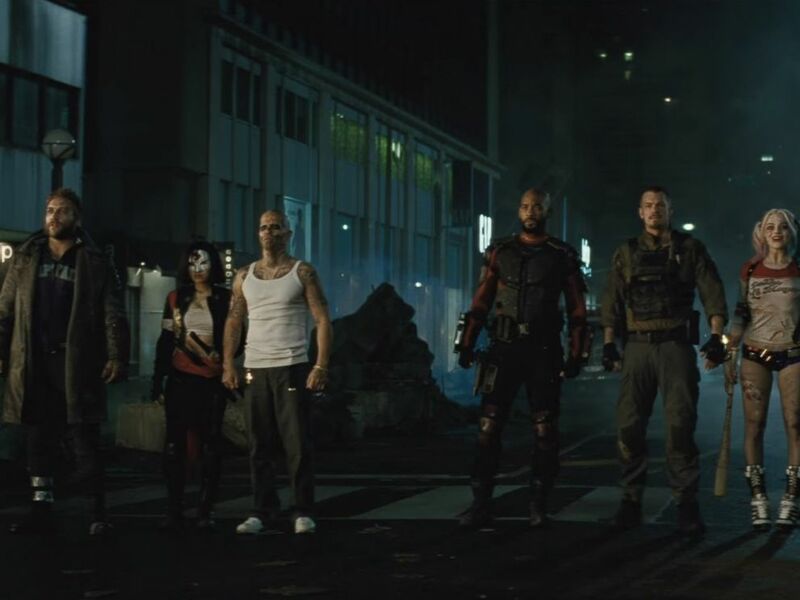 There is a lot more I could say but for now, “Suicide Squad,” which is directed by Ayer, is set for release on August 5th, 2016.